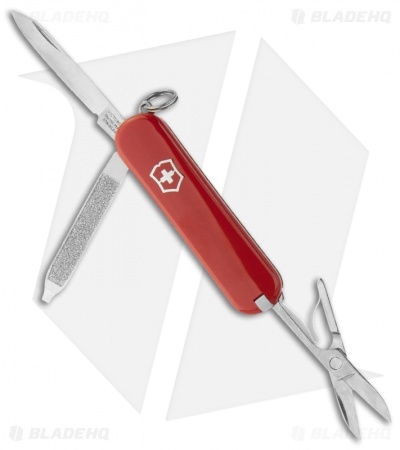 The Victorinox Classic SD Red Swiss Army knife is...well...the classic Swiss Army Knife. 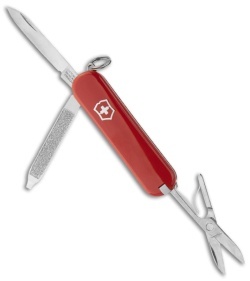 Featuring seven popular implements, it is functional and versatile, and yet with a closed length of just 2.25" it is compact enough to fit in your pocket. Comes with a lifetime warranty against manufacturer's defects. Had one for ages, lived on the keychain for all those times you need something sharp. Never can go wrong with classic red, but there are many color options. Classic look and feel. 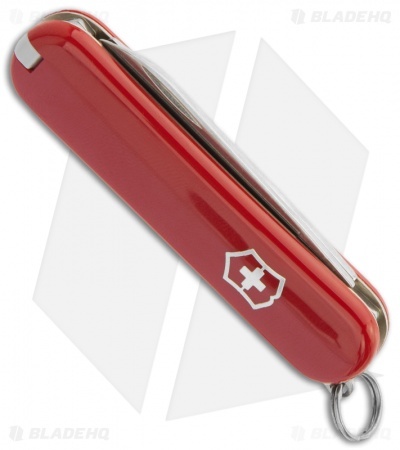 Great for a key chain knife. I can’t remember the first time I got one of these... Classic is an understatement. It’s the perfect keychain knife, I cant tell you how useful having a toothpick, tweezers, and mini scissors are. I’ve got these in nightstands, tool boxes, glove boxes, first aid kits, edc kits, airport confiscation dumpsters, and between couch cushions! Great gift too. Makes me want to pick up another!